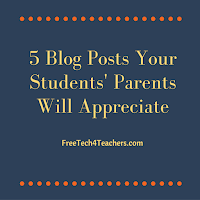 Posting useful, practical tips is one of the best ways to get your students' parents to frequently read your classroom blog. Coming up with those tips to write as blog posts can be challenging at times. 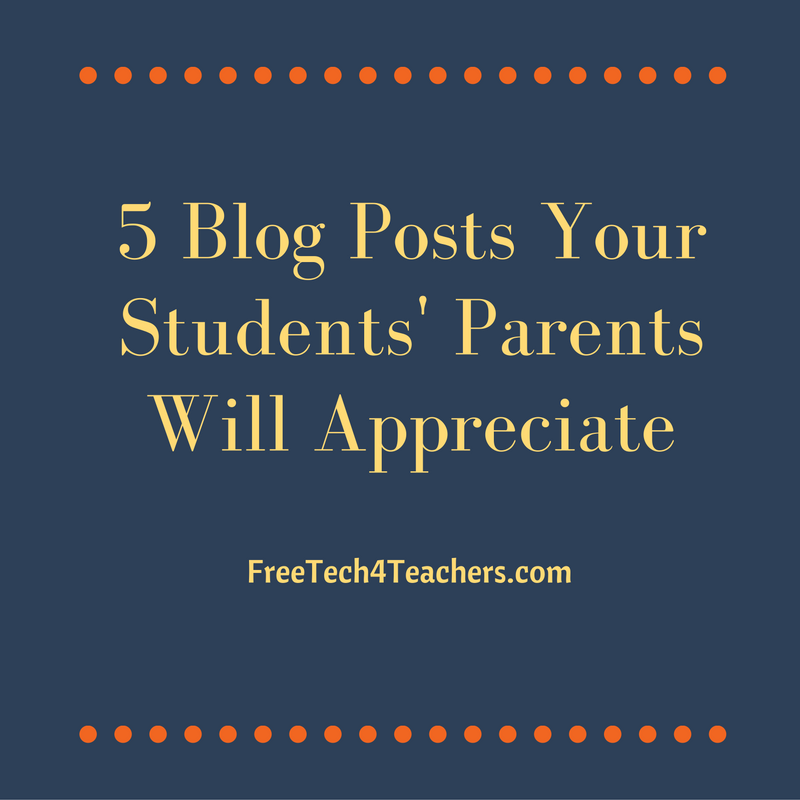 Therefore, I'm offering you these five blog post topics that parents will appreciate. Consider turning any or all of these blog posts into documents that you can print and send home to parents who don't visit your blog or those who might have missed your post the first time around. 1. How to supervise your child's web use at home. 2. Privacy settings on school-provided laptops/ Chromebooks/ iPads/ tablets. Consider adding screenshots or a screencast video illustrating those settings. Screencast-o-matic.com and Nimbus Screenshot are great tools for making screencast videos. 3. Tasty and healthy snacks to send to school with your child (Pinterest is a great source for ideas, just make sure you give proper attribution). 4. How to talk to kids about bullying. You might consider linking to some of these resources from Common Sense Media. 5. A glossary of Tween/ teen slang vocabulary. Consider posting this as a Google Doc that automatically updates as you update it throughout the school year (we all know how quickly Tween/teen slang evolves). This topic and many more are covered in-depth in Blogs & Social Media for Teachers & School Leaders. Graduate credit is available for completing the course.